If you are based in Gateshead and considering having a Guardian Roof installed, read on for detailed information about the benefits of a Guardian Warm Roof. 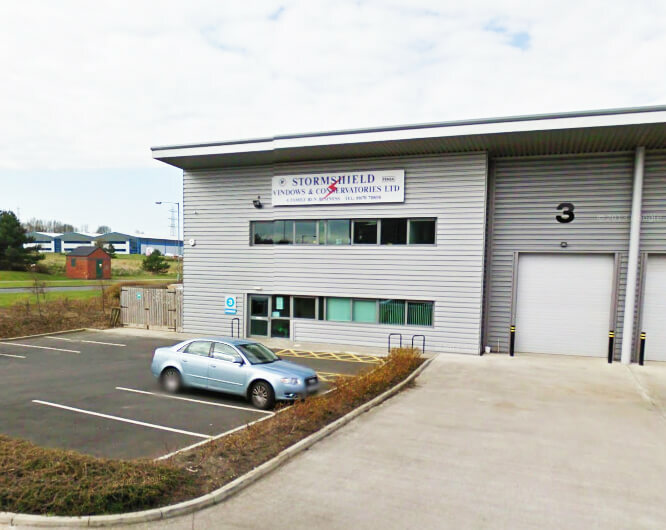 To get a free, no obligation quote for a Guardian Roof in Gateshead, contact Stormshield Guardian on 01670 710050 or visit our homepage to complete the quick quote form. Finally, you think. After months of it being too cold to sit in your conservatory, the sun is out and you can now enjoy the benefits of your conservatory at long last. You grab a cup of tea and settle into your favourite chair, ready to relax. The sun is streaming through the glass panes. Bliss. A few minutes later, you’re forced to remove your jumper. Okay, that’s good, comfortable. But then you start to get hot. The sun through the glass now making you feel like an ant under a magnifying glass. It’s uncomfortable. Eventually, you’re forced to give up and return to the cooler climes of the rest of your home, defeated. Why is my conservatory too hot in summer? A standard conservatory with a glass roof is often too hot in summer. Being a transparent surface, glass allows solar radiation to pass through it, warming the conservatory. However, since glass is non-porous, the heat cannot then escape, causing the room to get hotter and hotter. Conservatories that are south-facing experience this problem most intensely. Why is my conservatory too cold in winter? When it is cold outside, especially during the winter months, conservatories can often feel chilly. There may be gaps in the conservatory where draughts can get in, for example, if doors or windows cannot close properly. This is especially common in older conservatories. Damp caused by lack of ventilation can also be responsible for a cold conservatory. Well, you can invest in some thick blankets, storage heaters, and fans. Or, you can invest in a Guardian Warm Roof. A Guardian Warm Roof is a lightweight roofing system, designed to transform your conservatory into a room that is usable at any time. High-performance insulation within the Guardian Roof helps regulate the temperature inside your conservatory, allowing you to enjoy your conservatory year-round, whatever the weather. Ventilation within the Guardian Roof lets air flow freely around the space, preventing the buildup of moisture, leading to damp, stains and mould growth, all common problems in older traditional conservatories. These factors help make the Guardian Roof system extremely energy efficient, helping customers save money on their energy bills throughout the year, which is why a Guardian Roof is rated high for energy efficiency. Is a Guardian Roof worth getting installed? 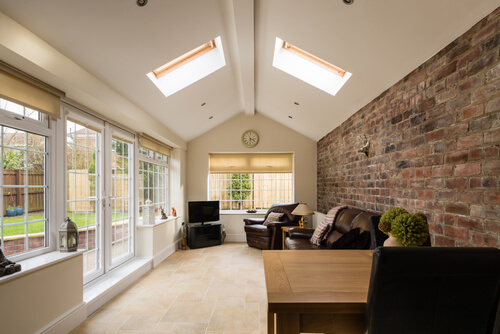 Yes, a Guardian Warm Roof is definitely worth it if you plan to use your conservatory on a regular or even semi-regular basis. Not only is it energy efficient due to regulated temperature and excellent ventilation, and effective in reducing outside noise and glare, but a Guardian Roof comes with a guaranteed 10-year warranty, giving you total peace of mind. For more information or to see some examples of Guardian Roofs, check out our brochure or visit our showroom and speak to some of our friendly, helpful and expert staff. Can I replace my conservatory roof with a Guardian Roof? A Guardian Roof is designed to straightforwardly replace most conservatory roofs. Weighing no more than a standard conservatory roof, the Guardian Roof’s lightweight design means that your conservatory is unlikely to need any additional structural reinforcement before installing, although technicians will conduct a thorough survey beforehand to be sure. A Guardian Roof is quick to install, taking only a few days from start to finish. If you are unsure whether your conservatory would support a Guardian Roof, get in touch with one of our friendly Guardian Roof Gateshead team, and we will be happy to advise you. Stormshield Guardian is a reliable and affordable option when looking for a Guardian Roof in Gateshead. We have many years’ experience installing Guardian Roofs in Gateshead and the surrounding areas. We also supply and fit windows, doors, conservatories, and orangeries to an extremely high standard, with many happy customers testifying to our friendliness and expertise. So, if you are convinced that a Guardian Roof is right for you, get in touch today for advice and a free, no-obligation quote. Or visit our showroom and see our range.